Ouch, this can get expensive! We’ve spent about $45.00 in copies from private physicians so far. One doctor’s minimum charge is $25.00 yet doctor-to-doctor is free. Mr. K is going to revoke the DAV POA. I believe that he can appoint an individual, such as myself, to represent him. We did talk to the county vet rep. and he dangled a big carrot: he said he could obtain all needed private physician records free. That would save us hundreds of dollars on copy fees for records critical to his claim–a savings we could use. On the other hand, the reps. office was messy. Numerous claim folders were piled on top of dusty cabinets–not securely filed. His receptionist was devouring a giant grinder and dripping grease on her desk at 11:30 a.m.. The place appeared unorganized. Do we “hire” him to get the free medical records, get copies for ourselves, then revoke the POA if he turns out to be inept? Or bite the bullet, shell out for the records, keep track of documents ourselves, and maintain privacy? I’m leaning towards the latter option but if there was a way to get private medical records free (secret form? ), I’d be happier. Ed. Note. Never mention the phrase “legal matters”. These records are for “continuing medical care”. See my comment below. 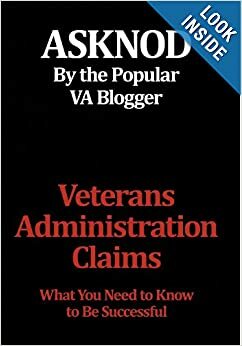 This entry was posted in ASKNOD BOOK, Guest authors, NEW BOOK, Tips and Tricks and tagged as, ASKNOD BOOK, asknod.org, asknod@wordpress.com, DIY vA Claims, Gulf War Claims Help, HCV, HCV Decisions, HCV Health Tips, HCV Veterans, HCVETS, Help with vA Claims, Help with vA HCV Claims., Helping Veterans, Service Connection, VA claims, VA HCV Claims Help, Veterans claims help, Vietnam Veterans Claims Help.. Bookmark the permalink. Yup, plenty of binders, envelopes, a hole punch, stapler and plenty of paper, ink for the printer. You can buy a 4-in-1 or 5-in-1 printer (that has fax, scanner, copy and print) for under $75.00 these days. I also picked up an internet phone for the extra fax line at a cost of $20 a year. It’s really not that difficult to do it yourself. And you have Mr. AskNod that has the answers here on the site or in his book. The hard part (for me anyway) is beating the med recs against part 4 to see what I should be rated for. You can look at a DBQ for your conditions to get a feel for how they are rated but I wouldn’t have one filled out for a claim. Looked it over but could not find DBQ info for HCV. Seems as though quite a few more forests will have to succumb to VA shell game in the near future. I haven’t gotten to that part of my claim yet for rating the HCV. I think you can find it in WARMS (link I gave) under 4.114 for liver diseases. I believe you may want to claim those conditions as secondary to HCV. It isn’t pyramiding because those conditions are rated differently and are considered to be different ailments. Also note that HCV causes quite a few secondary conditions that are presumptive for AO exposure. For example’s sake 40% of those with HCV have DM2. However DM2 is a presumptive for AO. You may want to seek an expert to see which way would give you the best rating for each condition. that takes you out to Cornell. I go to WARMS and download the PDFs to my PC. Robert, just received notice today on my claim and they rated the cirrhosis seperately. Could you post the rating numbers they used? NOD has commented that there is no “stages” for cirrhosis or severity numbers from beginning to end stage. My nexus letter from Dr Cecil said I have “severe cirrhosis” not related to alcohol/drug abuse. 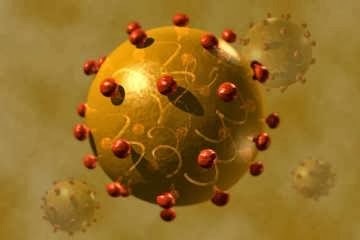 My HCV was discovered in 1995. I do have cirrhosis and HCV raging today. Common sense tells me the end of the road for my liver is close. GI doctor say no more biopsy or IFN treatments because of the cirrhosis. I am still in the dark about raters take. My head/neck cancerous thyroid is result of HCV and IFN treatments(my opinion) but no doctor would opine on that issue. More secondary issues related to HCV? 38CFR 4.7 is what they cited and I got a rating of 50% on the cirrhosis. What stage is the HCV? Mine is a stage 3. I have also put forth that the DMII is related to the HCV and the C&P doctor opined in the report that it was 50-50 that it was related so that is another item I am pursuing. Research cancers related to HCV, believe me they do exist. Push them sideways with all of the info you can gather showing a relationship between the two and don’t take no for an answer. My HCV rating got bumped up from 10% to 20% so that in and of itself was a giant win for me. Must be a regional thing because I have never paid a dime for copies of my medical records private or VA. The only money I spent was on getting the monster hole punched so that it would fit into the five binders. Hey I used the county vet rep office for stuff like FAX, phone calls to other agencies by your rep, postage and all paper pushing, at taxpayer expense. You are entitled to these services for FREE here in CA. I also got a “county trained va rep” who had connections at the RO in Los Angeles(or so she said). Though inept in many matters Va related they are a help for paper pushing and copy or FAX. They also have a different file on you BUT do not have access to computer at RO. They are a good source for proof of mailing, FAX and maybe a smile instead of the middle finger. Here’s my hint. 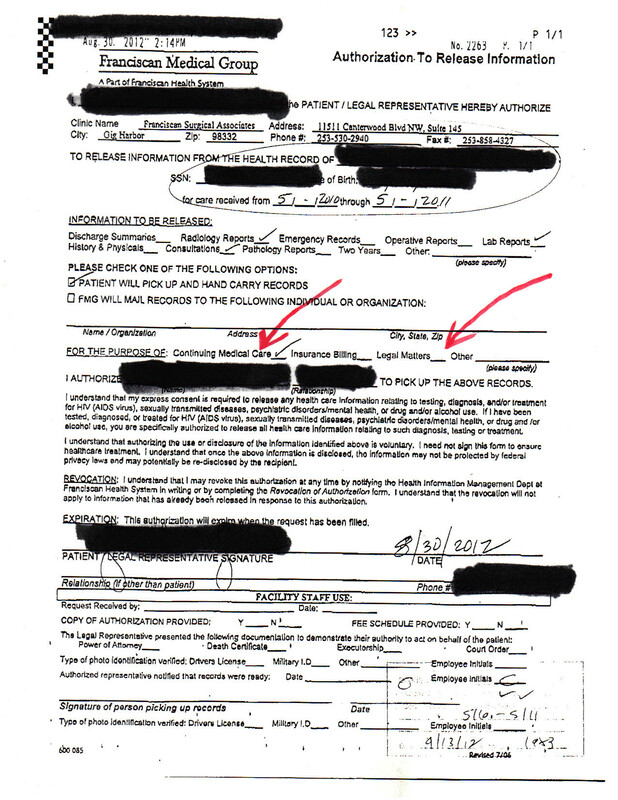 If you are obtaining the records for litigation, they will charge you. On the other hand, if you are obtaining them for your own records, they are free. The HIPPA release form will offer two choices. Do not check the wrong box. It’s nobody’s business what you need the records for, but if you volunteer they are going to be used for other than your own personal use-Bingo. $$$$ time. –Randy: We sent medical request letters to 2 private doctors in the same health care system and were billed by a third party who did the copying and mailed them to us. I think we paid 50 cents a page. –Based on Robert G’s comment, I should probably see what services the county rep will provide if he doesn’t get Mr. K’s POA. Holy mother of God! Fifty cents per page? My personal records are five volumes and I just received my C-File which is 5″ thick. That is highway robbery. Do you think that the drs. might help straighten that out? Unfreaking believable. I am really sorry to hear that Kiedove, really.